Carmen Sidbury, director of UNCW’s Center for Education in Science, Technology, Engineering and Mathematics, has been named an honorary chair for Million Women Mentors – North Carolina. MWM is a national movement to encourage girls and young women to pursue STEM careers. The organization is active in 35 states, with more than 45 corporate partnerships serving over 30 million girls. Dr. Sidbury joins North Carolina Representative Graig Meyer as an honorary chair of MWM –NC. The appointment was announced in January. Sidbury was selected for her vision and leadership in academia, entrepreneurship, and advocacy for STEM education. Sidbury has more than 30 years of experience in industry, government and higher education. She earned BS and MS degrees in Mechanical Engineering from North Carolina A & T State University and in 1995 became the first African-American female to earn a Ph.D. in Mechanical Engineering from the Georgia Institute of Technology. Her professional experience includes several years in technical positions at AT&T Bell Laboratories and Lucent Technologies and two years at the National Science Foundation as a program director. 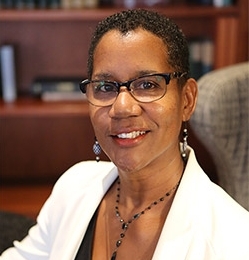 Sidbury joined Spelman College as an associate dean in 2007, and served as the college’s Associate Provost for Research from 2011-2016. She is also founder of The Sidbury Group, LLC, a business focused on enhancing diversity and inclusion in STEM. Sidbury has served as director of CESTEM since July 2018.